Why Do You need Car Tinting Services in Dubai? Protection from Heat and UV Rays: Dubai witnesses soaring temperatures in summer, right up to 50 degrees Celsius. 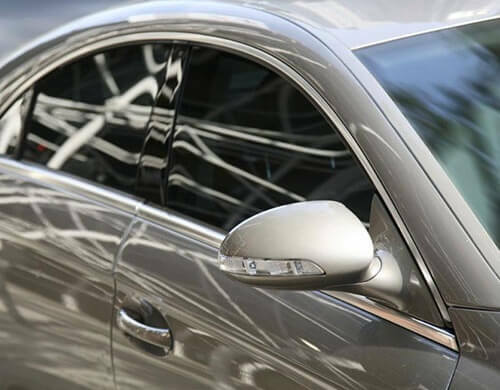 Tinting minimizes the effect of heat and protects motorists and their passengers from harmful UV radiations that have been identified as one of the leading causes of skin cancer. They can also damage the upholstery of cars, causing it to fade and age with time. Reduced Fuel Consumption: A lot of fuel, up to five per cent based on industry research, is used up to keep the vehicle’s air conditioner going. Using window tinting can reduce the strain on the air conditioning system by reducing the internal temperature and this in turn can reduce fuel consumption. Reduces Glare: Glare from the sun can obstruct the vision of the motorist while driving, especially if you are driving in the direction of the sun. A tint job minimizes glar, reduces strain on the eyes and reduces the risk of accidents. Enhances Safety: Normal glass shatters into small pieces upon impact in the event of an accident. These shards of glass can cause grievous harm. 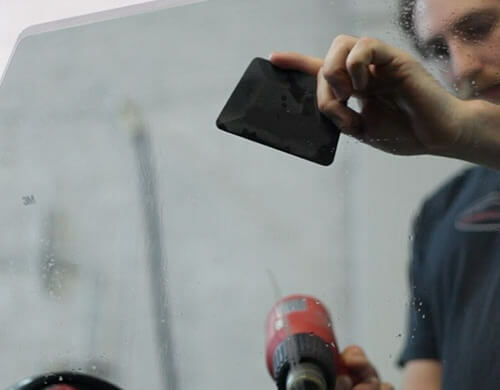 After tinting is done, the tint film holds the shattered glass together to prevent scattering of shards in the immediate area. This also works as a highly effective measure against theft of your belongings in which a smash-and-grab approach is relied upon. We offer some of the best car tinting deals in Dubai. We work closely with 3M and use only their high quality films for window tinting in Dubai. We use films which let plenty of natural light through while minimizing the effect of heat and harmful cancer causing UV radiations. Our customers have the option of choosing from three ranges based on their preferences; the FX series, CS (color stable) series and our CR (crystalline) series. Depending on the range they choose, they get the benefit of warranty for periods from 2 to 5 years warranty depending on which series you choose from. Why Should You Choose Orange Auto for Providing Car Tinting Services in Dubai? We offer professional and affordable car tinting services and take pride in our wide range of colors and shades to suit the preferences of customers. You even get to choose from many different finishes to match your style, including traditional dyed, carbon coated and ceramic car tints utilizing nano-technology. This makes us the ultimate one-stop garage where any vehicle owner can find a look that perfectly suits their vehicle and desired style with ease. Take advantage of our car window tinting Dubai deals now! Thanks to the innovative technology used in our car window tints, both drivers and passengers in Dubai are safe and protected. In fact, 3M films have been endorsed by the Skin Cancer Foundation as an effective defense against the harmful effects of UV rays. The newest window retrofit innovations have addressed the issue of glare with a design that cuts window light penetration by up to 50 percent—allowing drivers to navigate safely even in the brightest sunlight. 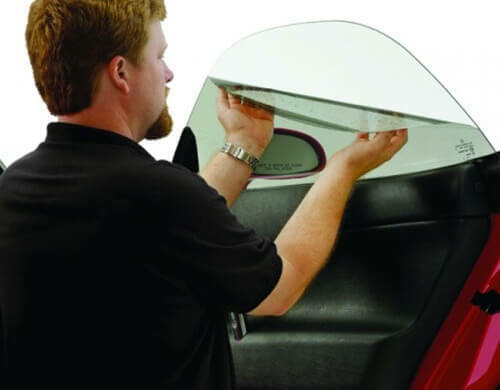 As an authorized provider, we offer unbeatable 3M warranties. We use only genuine 3M products. With summer season just around the corner, this is the right time to take advantage of our tinting deals. In addition to 3M car tinting, we offer other services like 3M Car detailing, tire change, oil change and battery check and replacement service making Orange Auto truly a one stop garage.